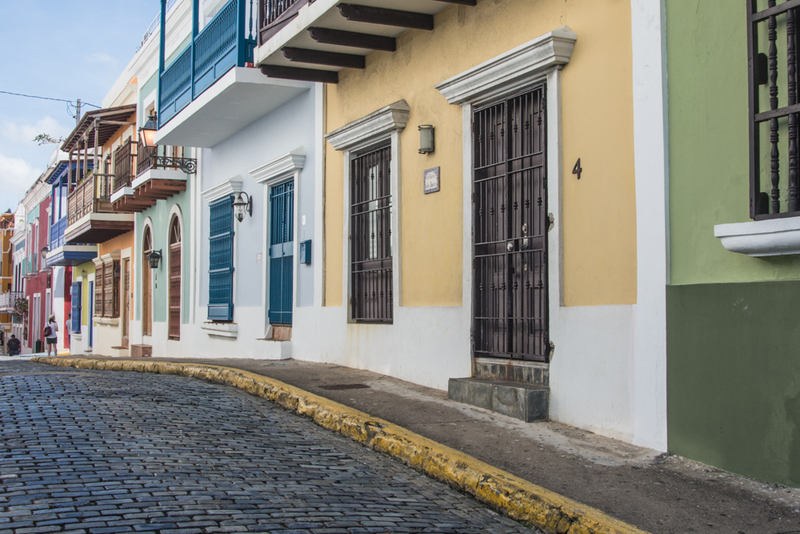 The Capital of Puerto Rico, San Juan, was established in 1521 by the Spanish conquistadores. 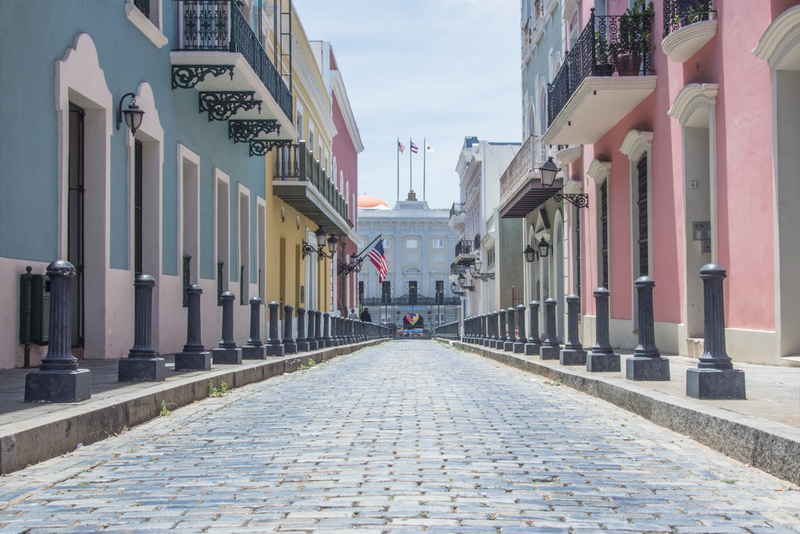 It is the second oldest city in the Caribbean (after Santo Domingo in the Dominican Republic) and the oldest city in the US (Puerto Rico is a territory of the US). 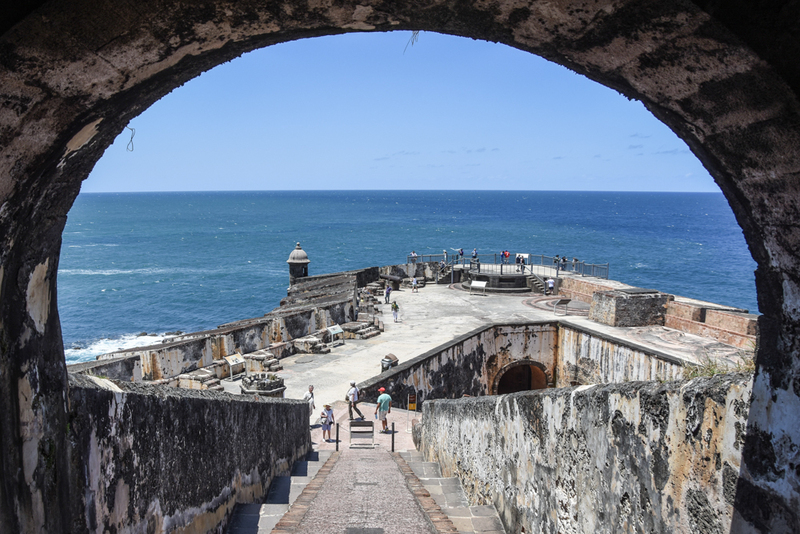 Facing the Atlantic Ocean and being the first stop for the ships coming from Europe and entering the Caribbean, San Juan became a very important military place and as such it has a rich history. There is a small curiosity about the name. 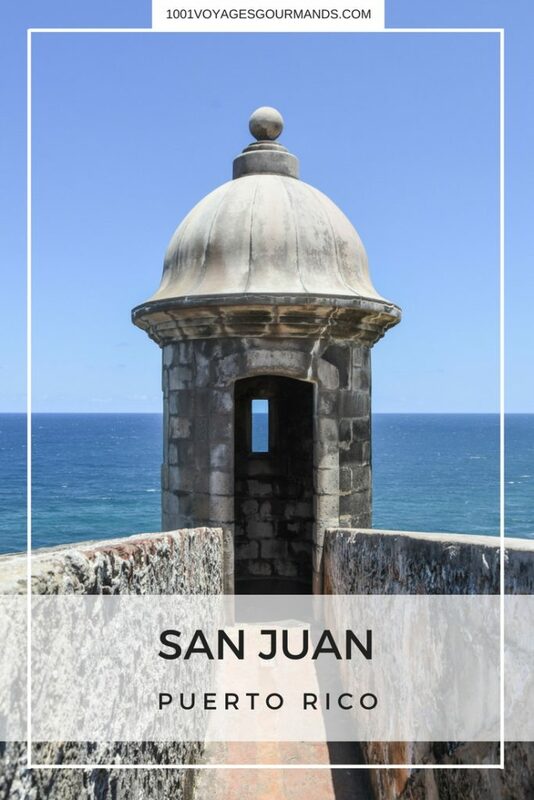 When Columbus discovered the island in 1493, he actually named it San Juan Bautista and then when the Spanish founded the city today known as San Juan, they named it Puerto Rico. 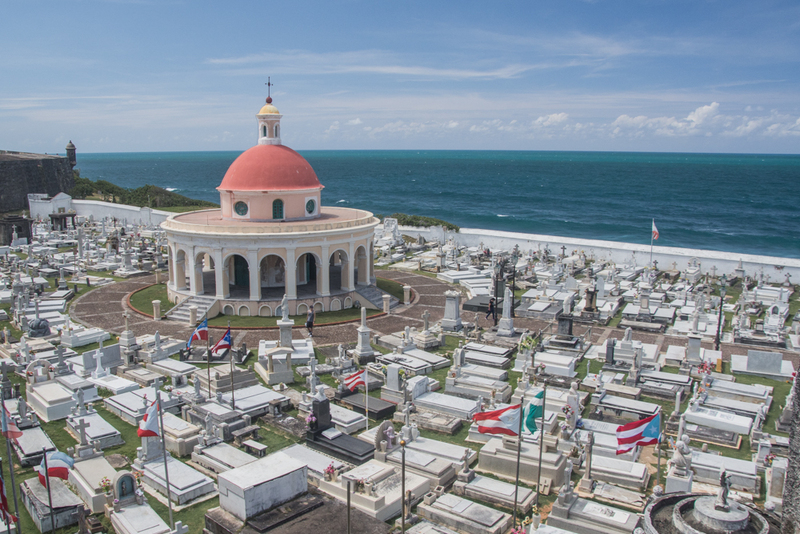 But with years passing by and due to an error of a Spanish cartographer, the names switched – the island became Puerto Rico and the capital became San Juan. 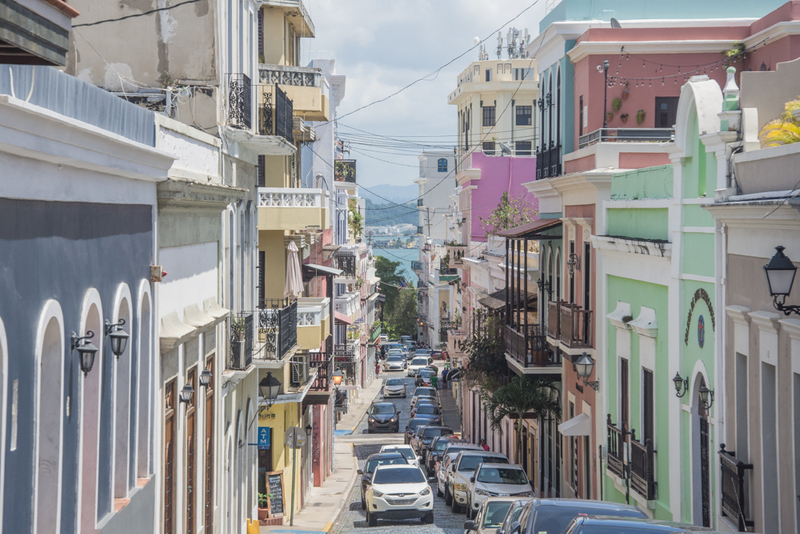 Recently, it has always been the most important economic and industrial center in Puerto Rico and the most cosmopolite city in the whole Caribbean. However, last year, the country went bankrupt and few months after it was hit by awful hurricanes. 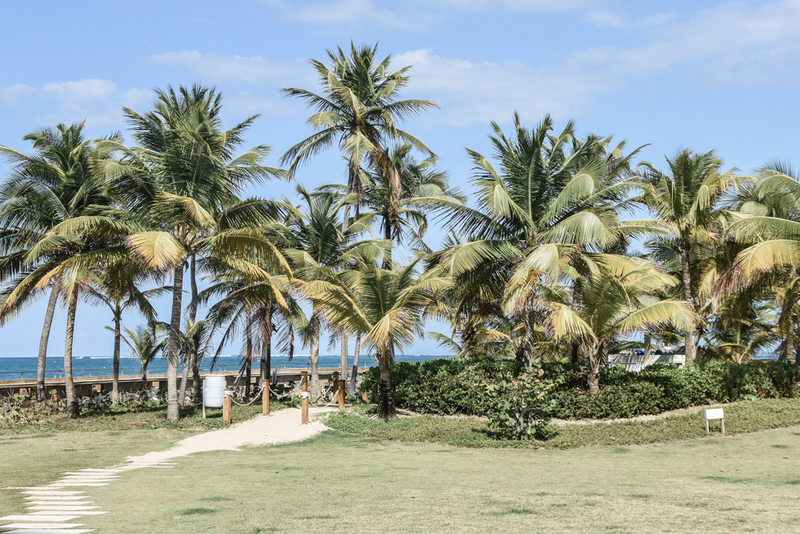 And this is why it now needs your help more than ever – come to discover the capital of Isla del Encanto! 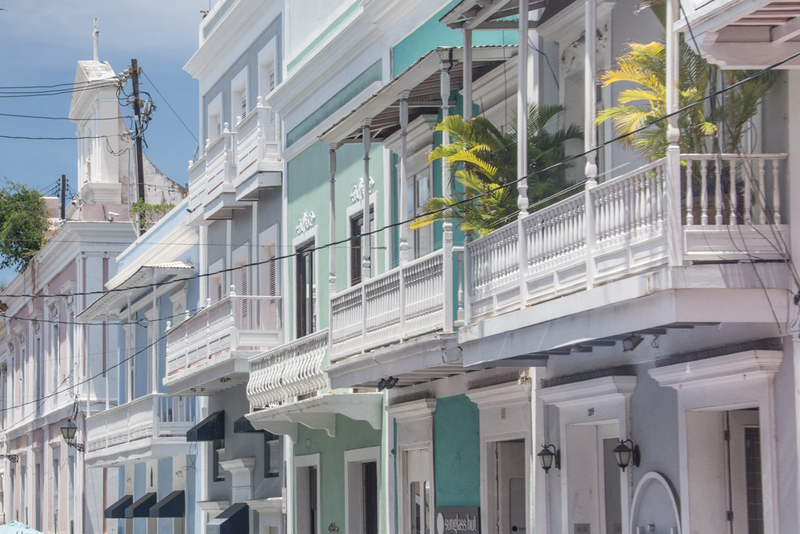 If you come to Puerto Rico, your plane will probably land in San Juan. 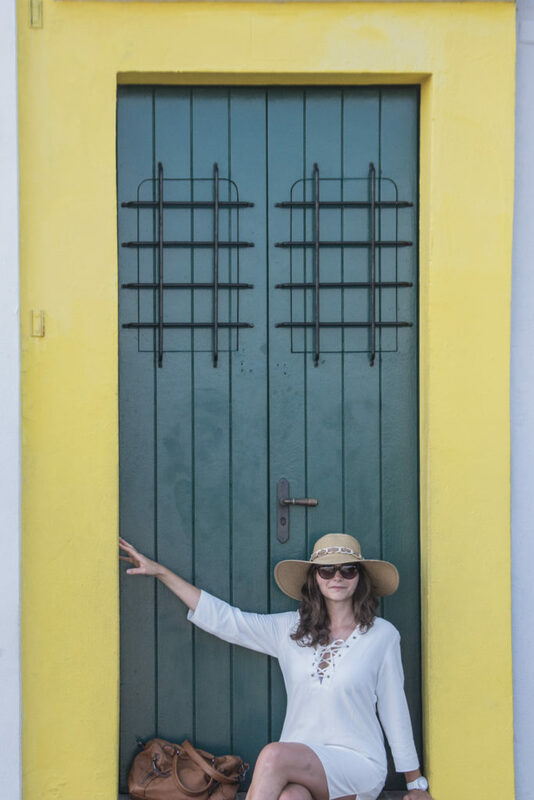 Make sure to have several days for its exploration – you can find some inspiration about what to see and do in San Juan in this post and even if you don’t plan to visit PR soon, I still hope this little tasting will make you want to visit it in the near future! 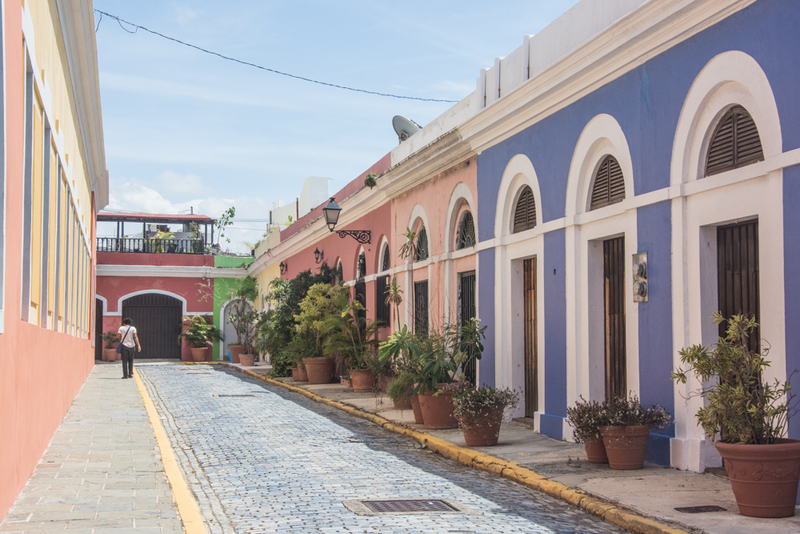 The Old San Juan is the most interesting part of the city. 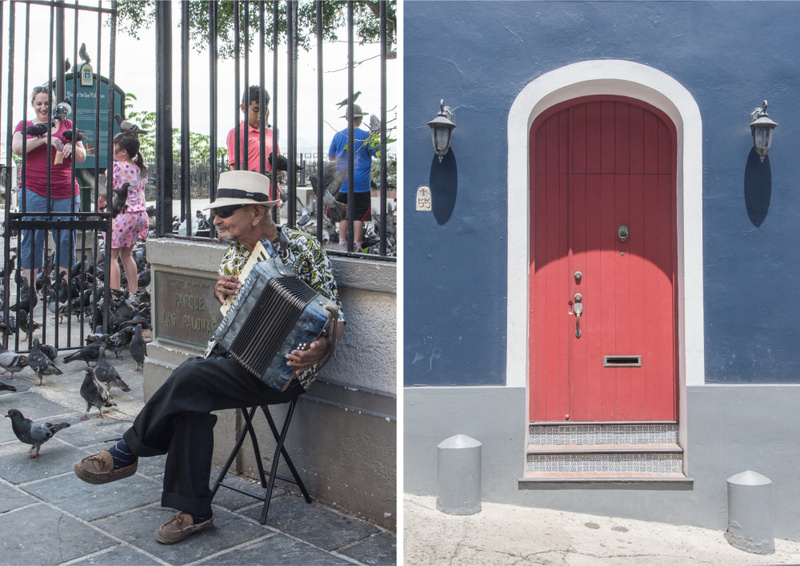 It’s a colorful mixture of life, music, and history! The center of the old town is quite small and can be easily done on foot. 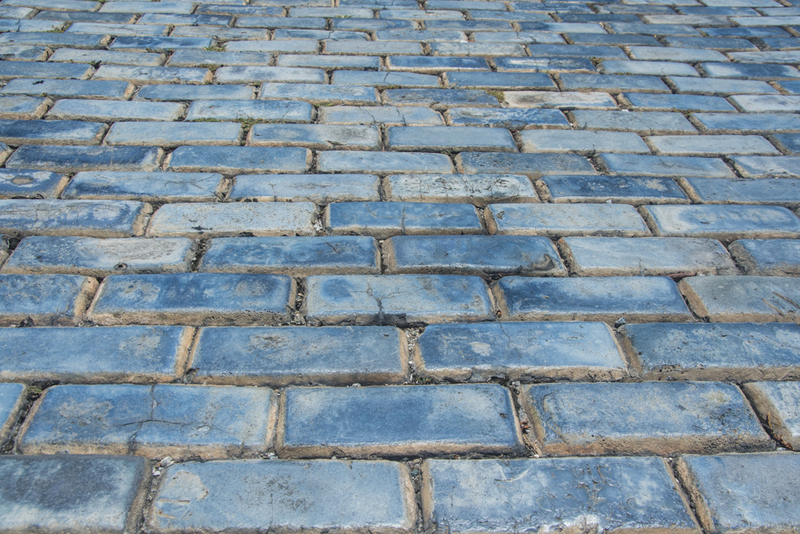 It is characterized by its narrow blue cobblestone streets and picturesque colonial buildings. 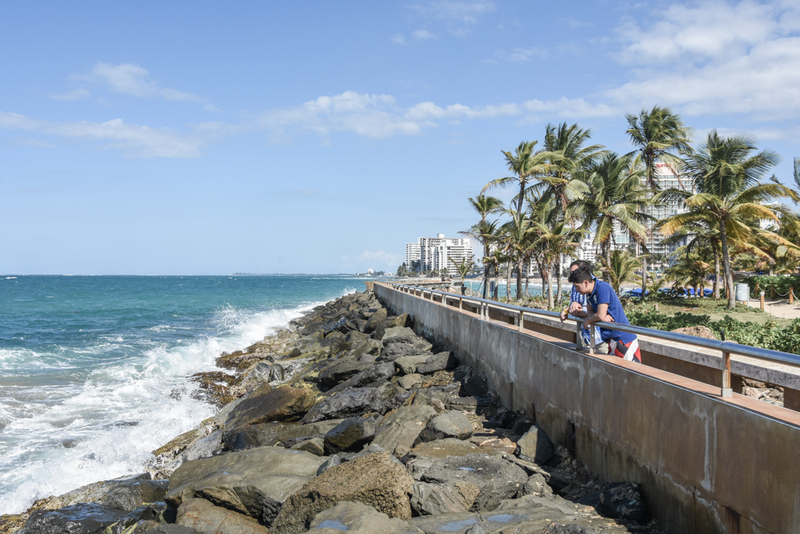 It is very beautiful and for me, one of the most beautiful places I saw in Puerto Rico! 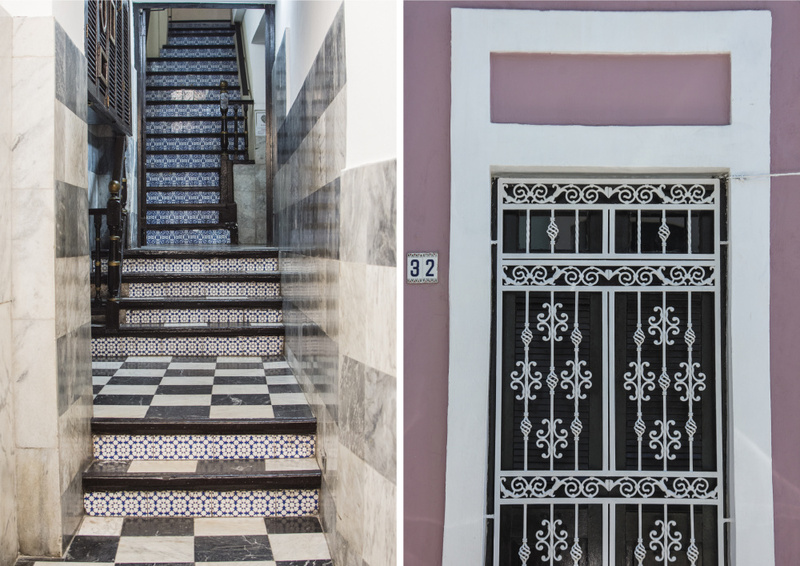 On every corner, there is something nice to see, do or eat! 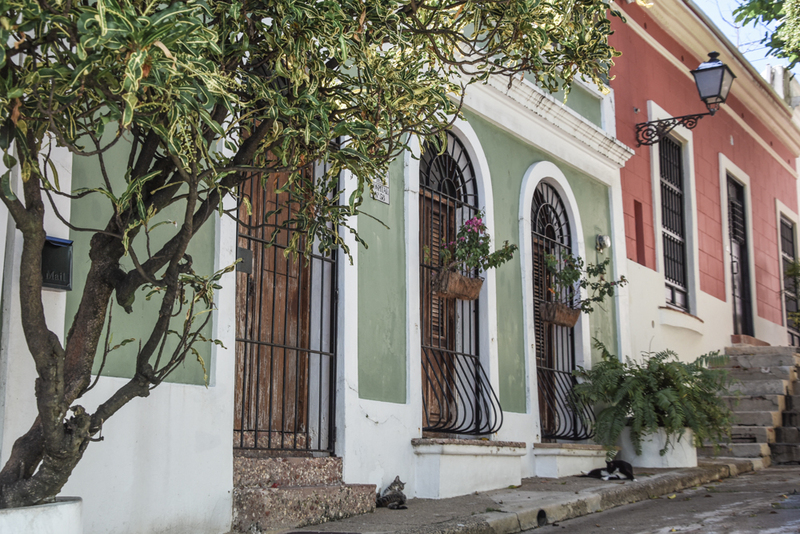 Be sure to check out the Plaza de Armas, with the City Hall and the beautiful fountain with four marble statues representing ‘The Four Seasons’. 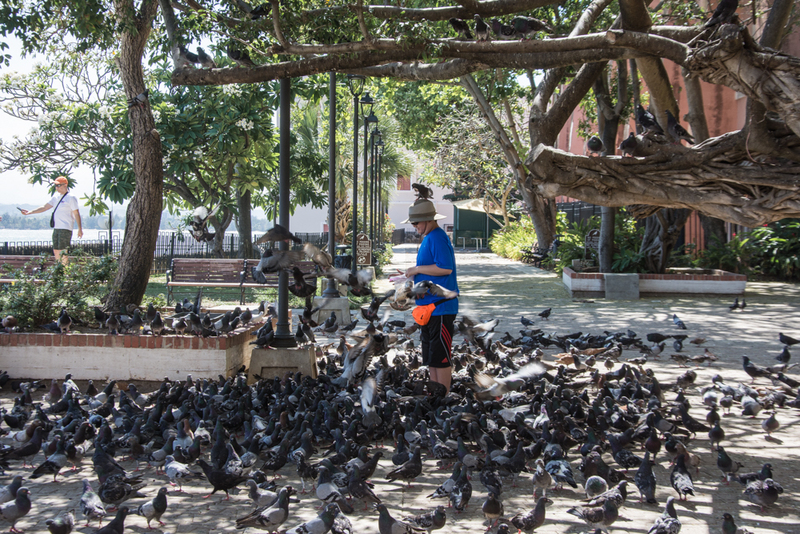 Walk through Calle del Cristo which is the oldest cobblestone street in the Americas, pass through the Parque Las Palomas park, where you can feed pigeons and see La Casa Estrecha in Calle Tetuan which is the narrowest house you have probably ever seen! 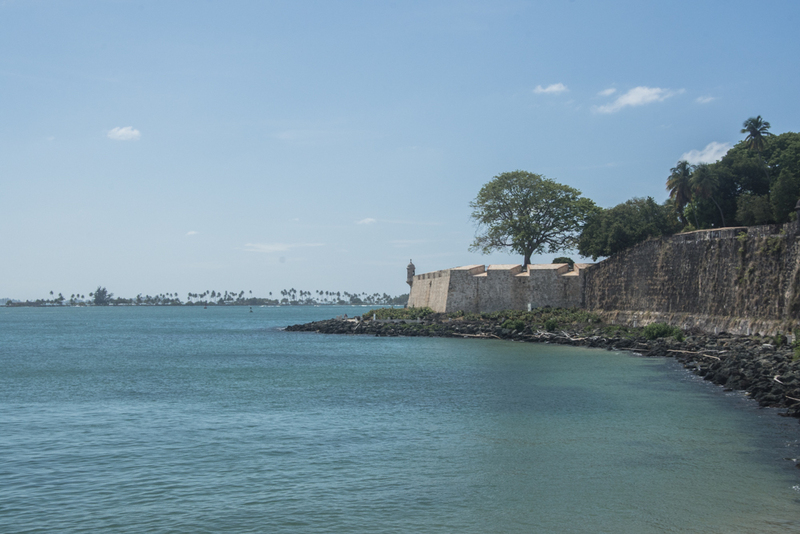 For gorgeous vistas of the port and San Juan Bay, head to Bastión de la Derecha de San Justo y Pastor and Paseo de la Princesa where you can enjoy a lovely promenade before entering back to the heart of the Old City through the San Juan Gate. 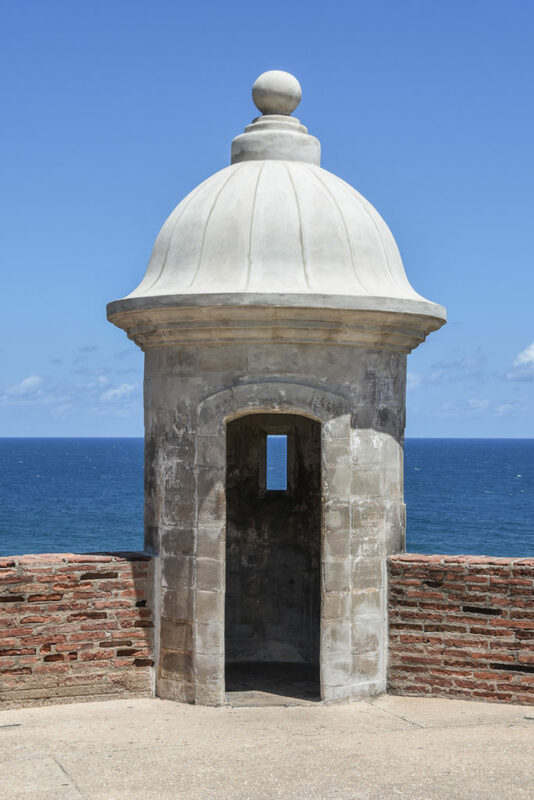 San Felipe del Morro fortress was constructed by the Spanish in order to defend the island from the British and Dutch conquistadores and to protect the marine traffic between Spain and the rest of the Caribbean and Americas. 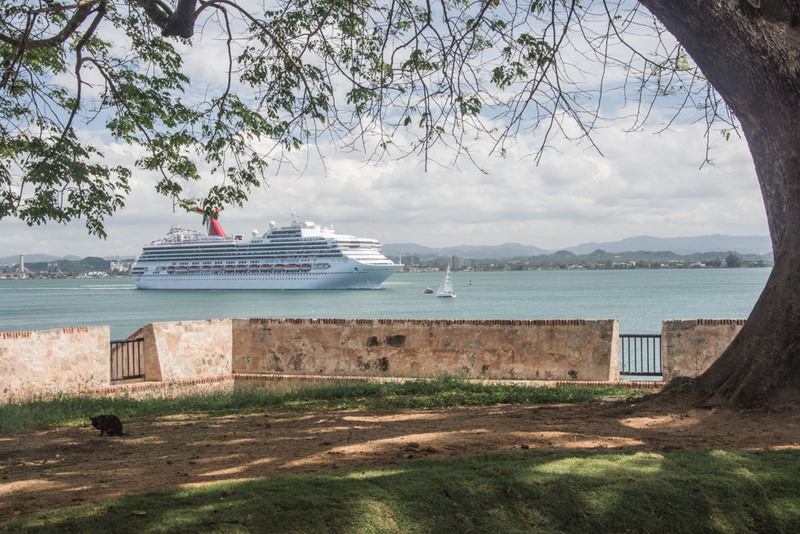 San Cristóbal fortress was built a century or so later to defend the city against the inland attacks. 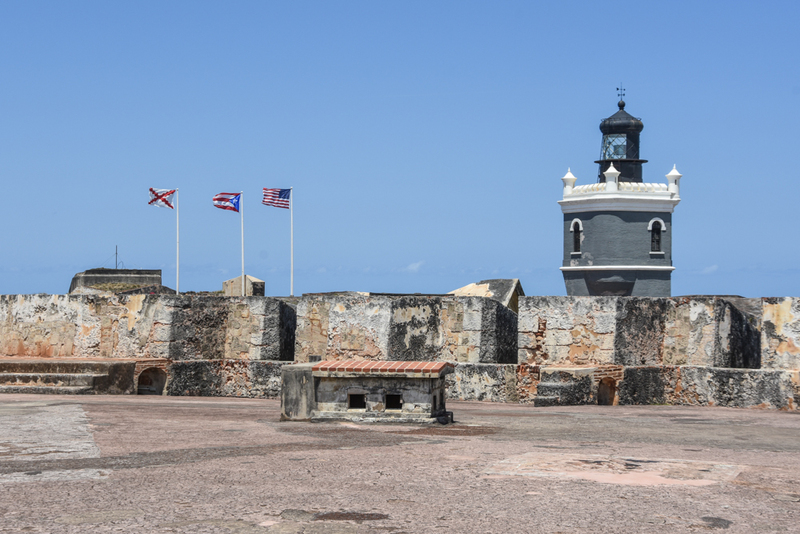 It is the largest Spanish military structure in the US. 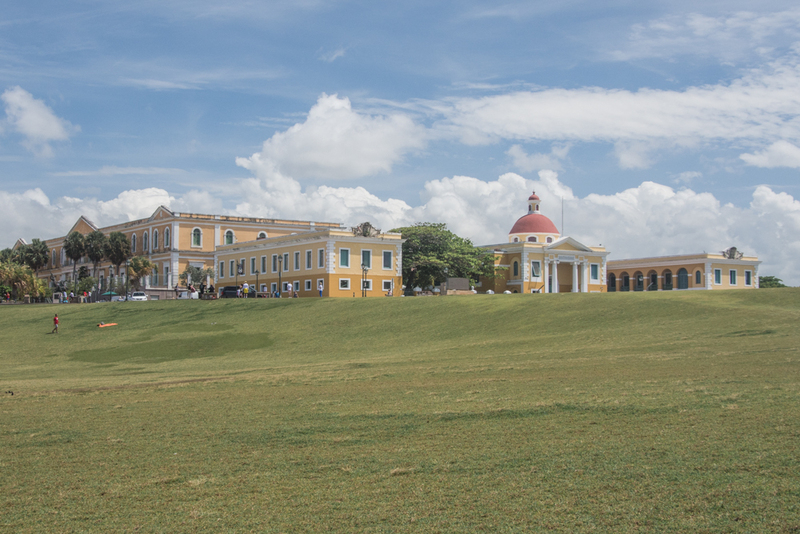 Santa Catalina Palace (known as La Fortaleza) is the official residence of the Governor of Puerto Rico and it is also the oldest Governor’s residence in the Americas. 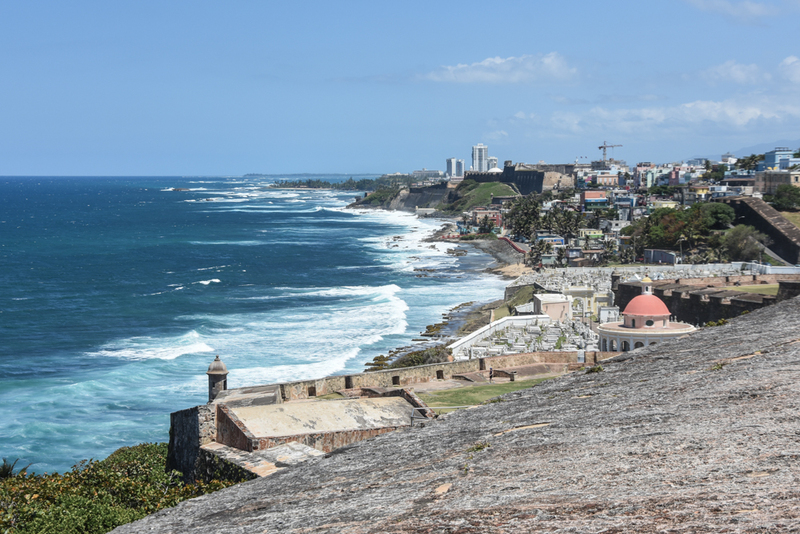 Between the two fortresses El Morro and San Cristóbal, you will find a very poor but colorful quarter called La Perla. 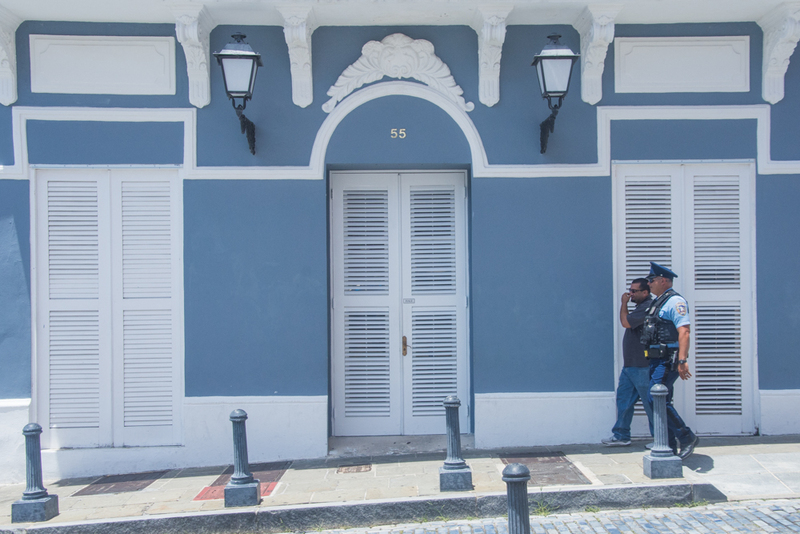 This used to be the most dangerous place in the whole Puerto Rico, but that changed last year with the most seen video clip of Youtube: the song Despacito by Luis Fonsi and Daddy Yankee. 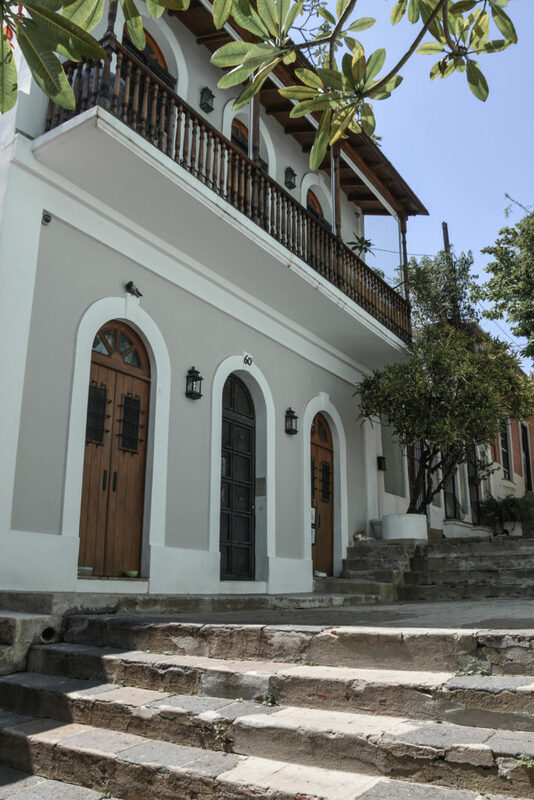 Nowadays, tourists from all over the world come here as they want to see the place where an ex-Miss Universe Zuleyka Rivera was dancing with Luis Fonsi in that video clip. 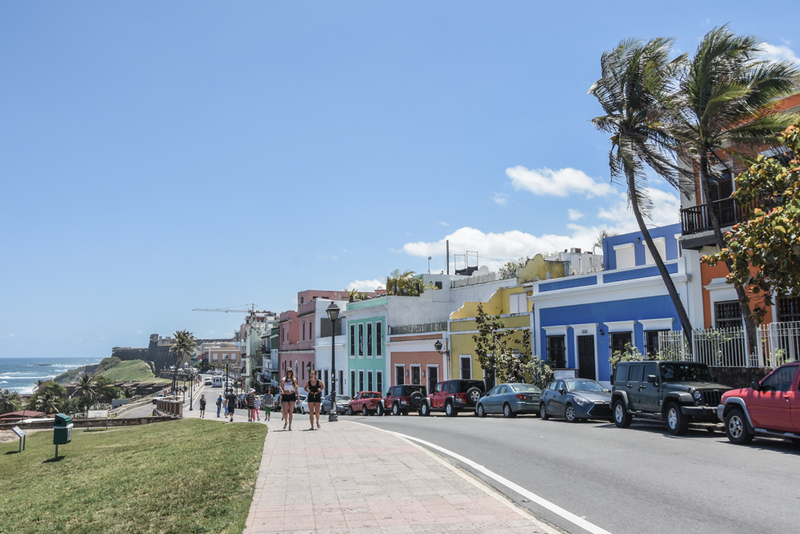 San Juan is also the center of Puerto Rican gastronomy and you will find many good restaurants here. 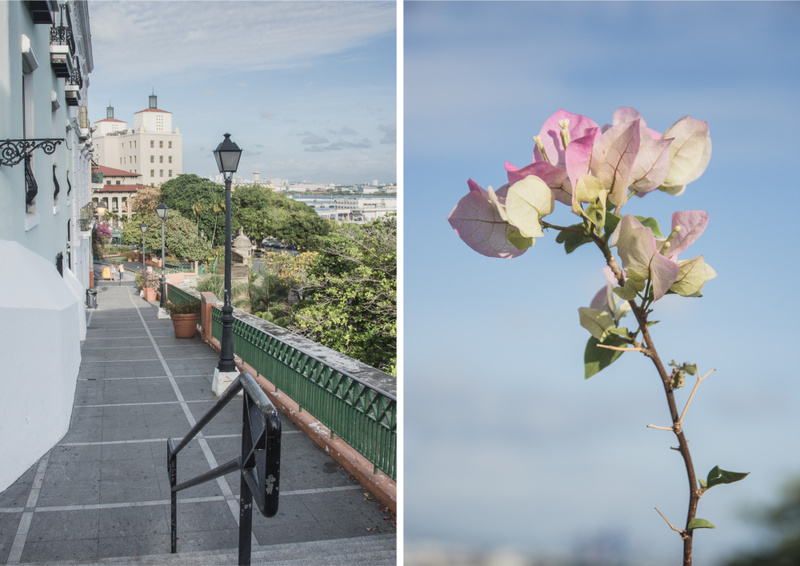 If you want some tips for local food to try and places where to eat, check out my review of the Walking Foodie Tour in Old San Juan. 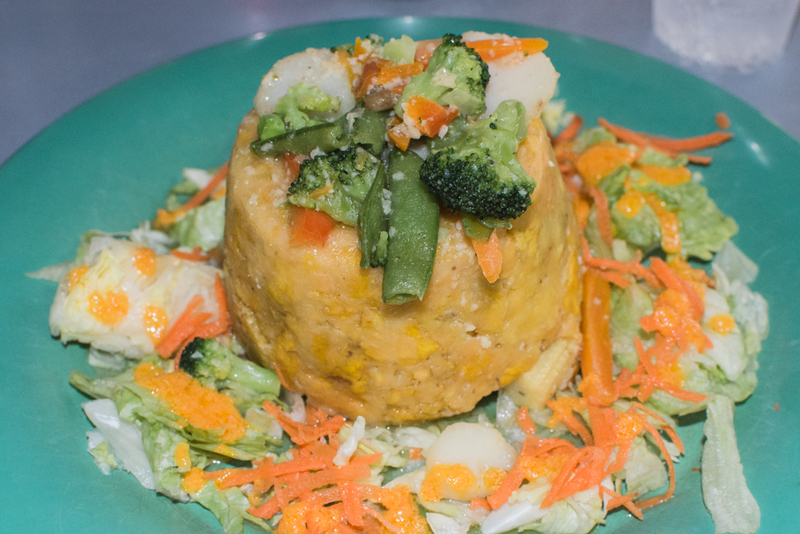 And if there is one thing you should try even if you don’t click on the link, then go for the mofongo! 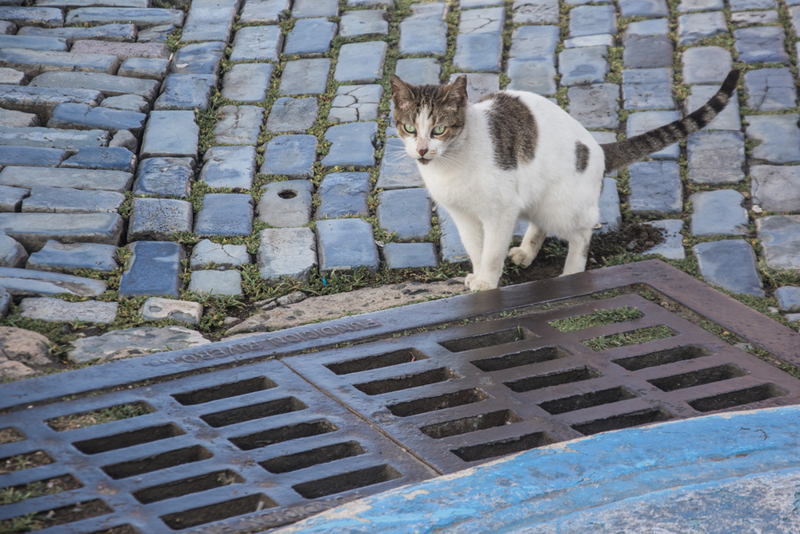 Ok, and there is another one, very important… Did you know what Puerto Rico gave to the World? 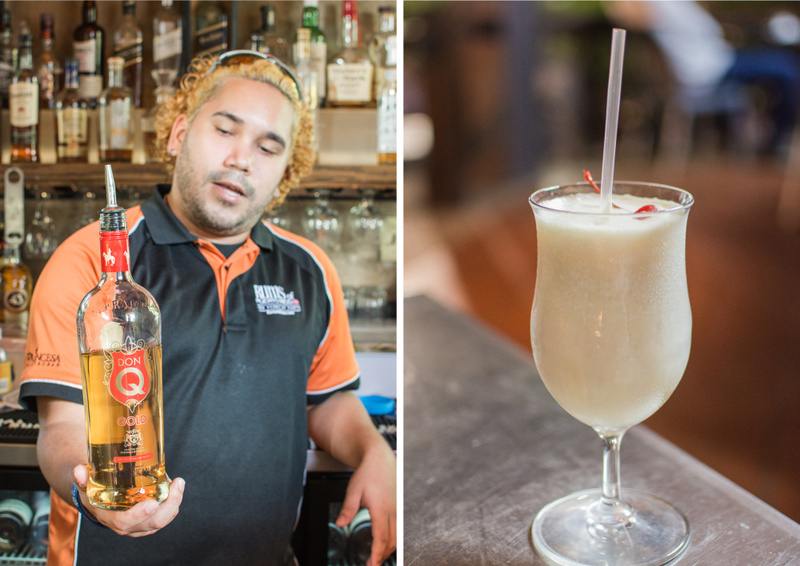 Apart from Despacito, we are talking about Piña Colada! 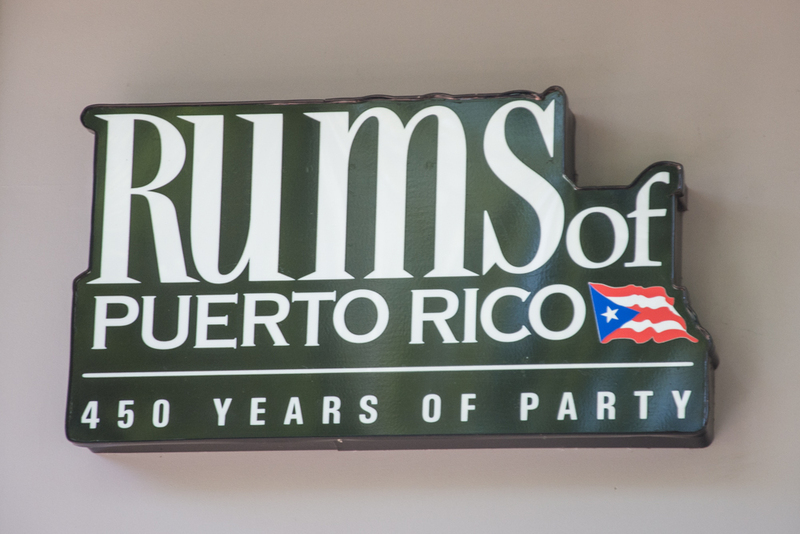 It was first made in 1963 in the restaurant Barrachina, where the bartender named Don Ramón Portas Mingot mixed together pineapple juice, coconut cream, condensed milk and ice with rum Don Q, the preferred rum of the Puerto Ricans. 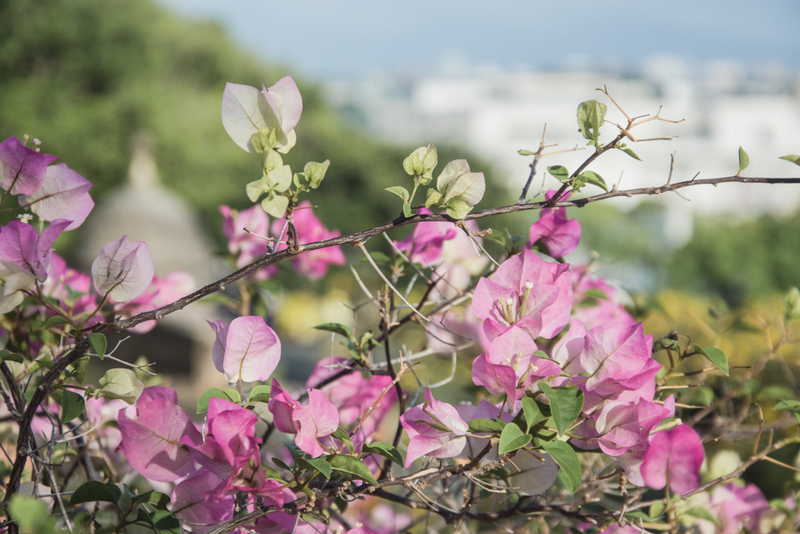 The production of rum is an important part of the Puerto Rican economy and in San Juan, you can find the largest rum distillery in the world – Casa Bacardí. 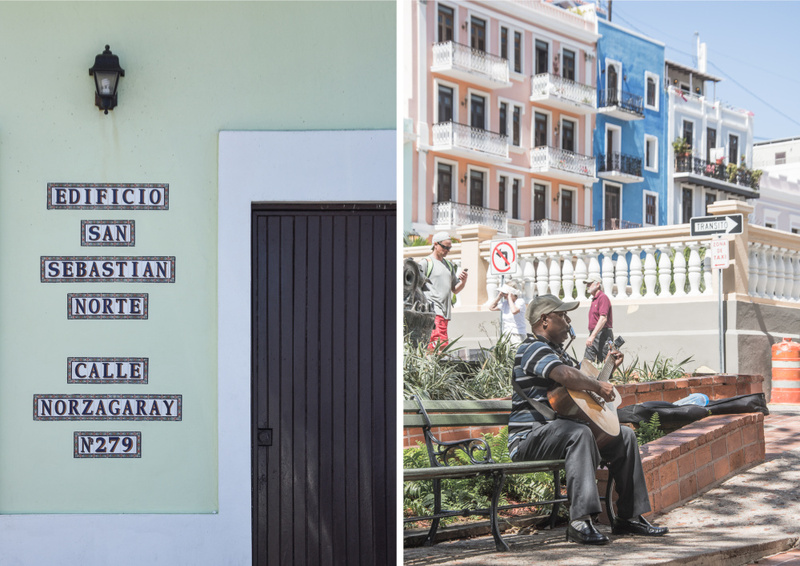 This one is also one of the principal touristic attractions, although Bacardí is originally from Cuba (when Fidel Castro started to nationalize companies, Bacardí relocated abroad). Once you are in a good mood, it’s time for some nice music and dance! If you like salsa, one place that I really enjoyed just sitting in and having a good time looking at couples dancing (as I couldn’t dance due to stepping on a sea urchin earlier on Culebra) is the Nuyorican Café. 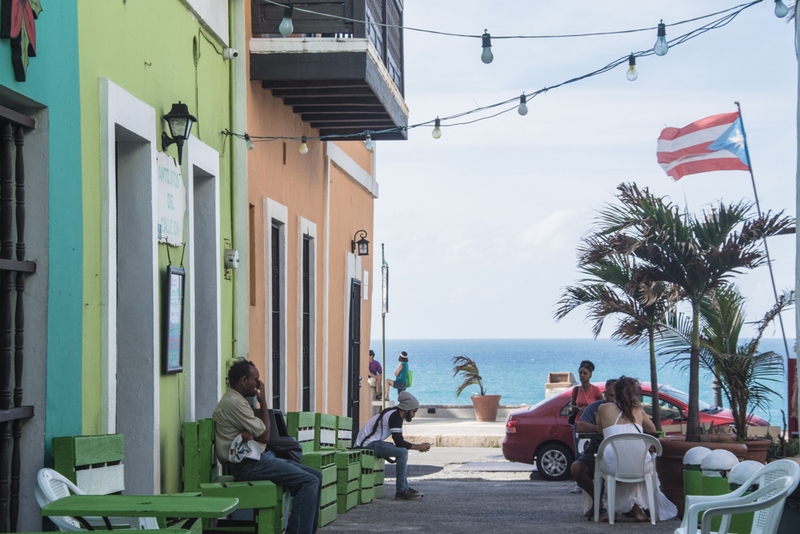 Another great place to go out is the Mercado de Santurce where a market takes place during the day and later on it is a good place for a drink or dance. 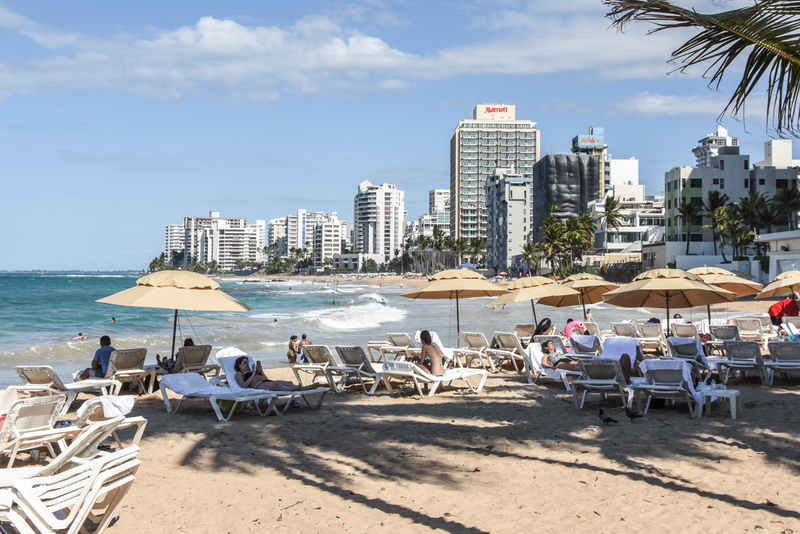 If you like modern parts of the city, luxury hotels and boutiques, you will find your happiness in Condado, Ocean Park or Isla Verde. 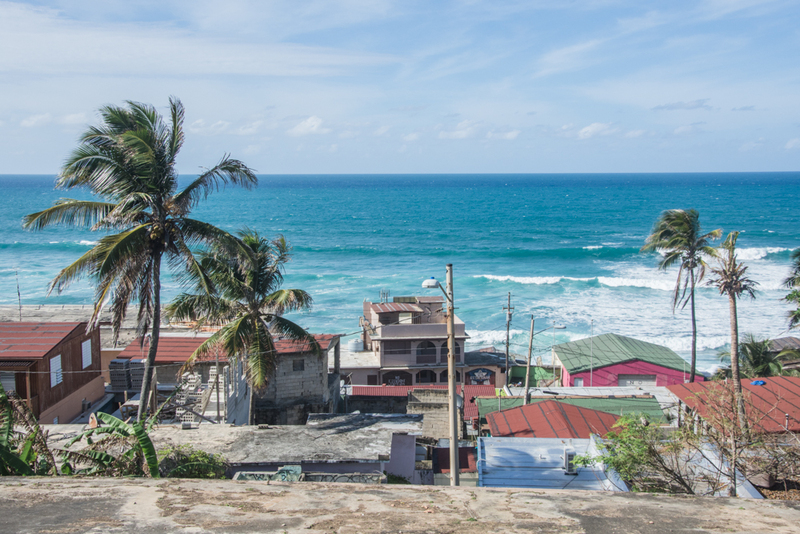 There are also some city beaches full of swimmers and surfers, although it is not the Caribbean here, but the Atlantic Ocean, so the sea is colder and there are large waves. 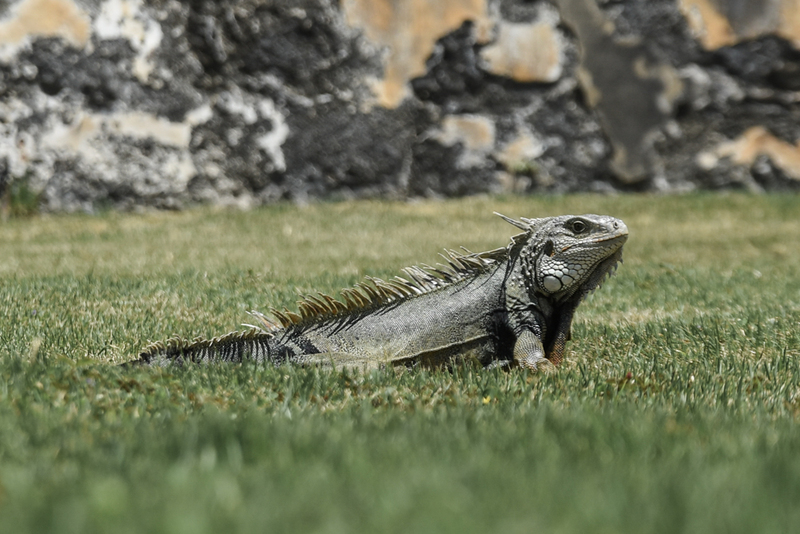 Shall you be looking for nice Caribbean beaches, then head directly to the islands Culebra or Vieques. 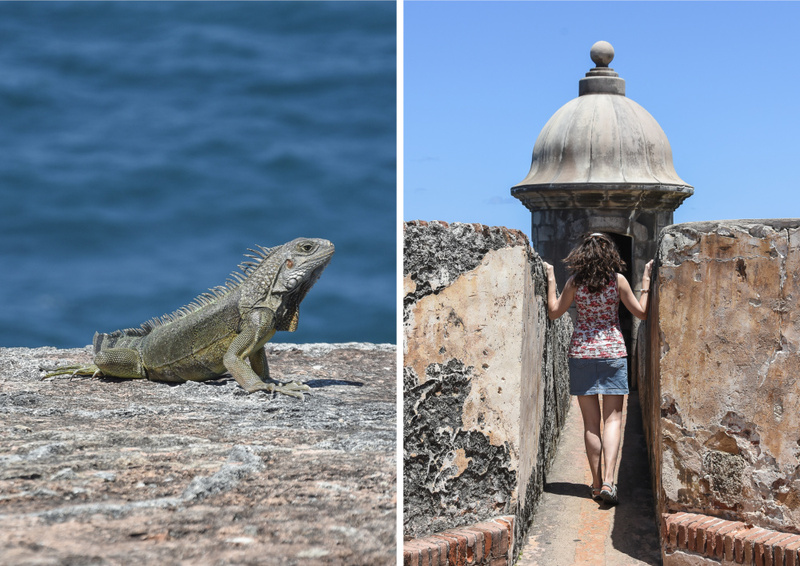 Once you have explored Old San Juan and other interesting parties of the capital, you can take a day trip to the El Yunque National Rainforest – you can read more about our visit of the rainforest here. 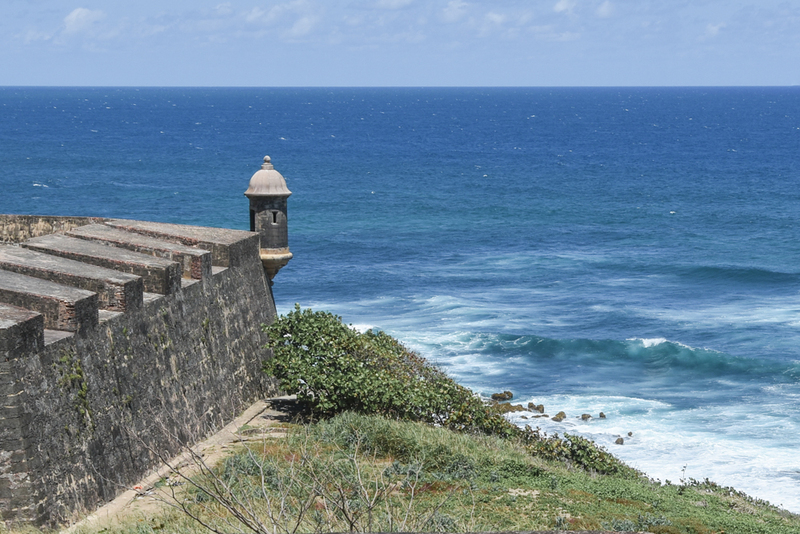 So this is it about San Juan! I hope you find my tips in this post useful and if so, please share it further! 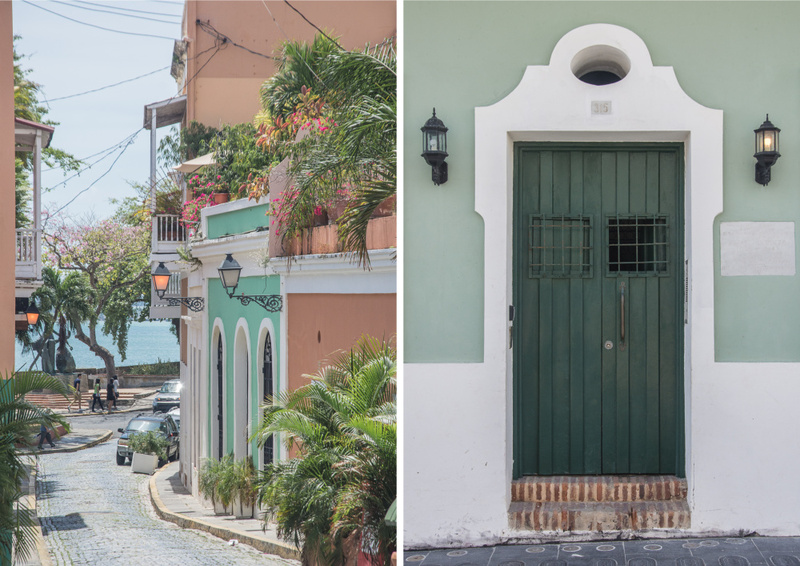 If you plan to visit Puerto Rico, you can find all my related posts here. Hi there! I really like your photos and just wanted to give you a little compliment here – well done! Keep on going and happy travels! Hi Anne, very nice of you – thank you for your message! ? Puerto Rico was on my list since last year. But the airline on my island that flew to Puerto Rico canceled their contrct and now I have to pay loads of money just to get there. So it’s still on the list even more with this post. Just need to save some more. Did you rent a car? Or moved by taxi? Hi Sujenne, so sorry to hear that! That sounds awful, I hope you will soon manage to visit PR though! 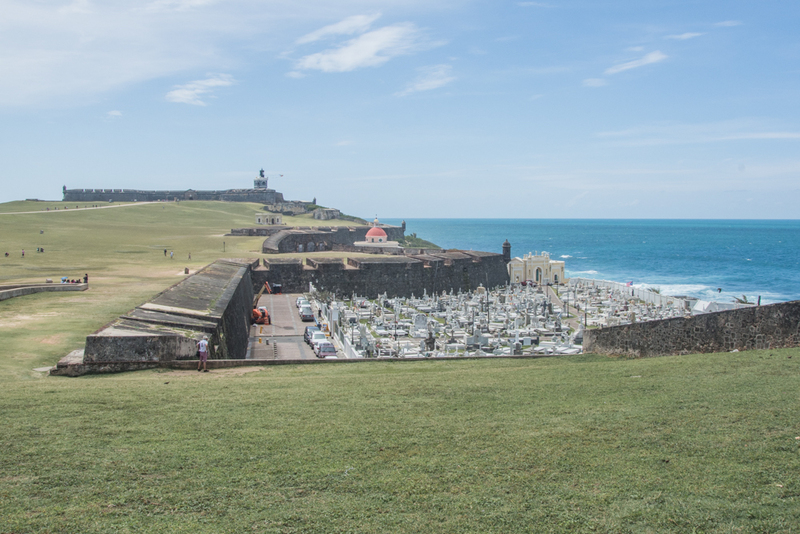 We tookookk UBER to move within different parts of San Juan (especially between the airport or Condado and Old San Juan) and then rented a car to visit other parts of the mainland. 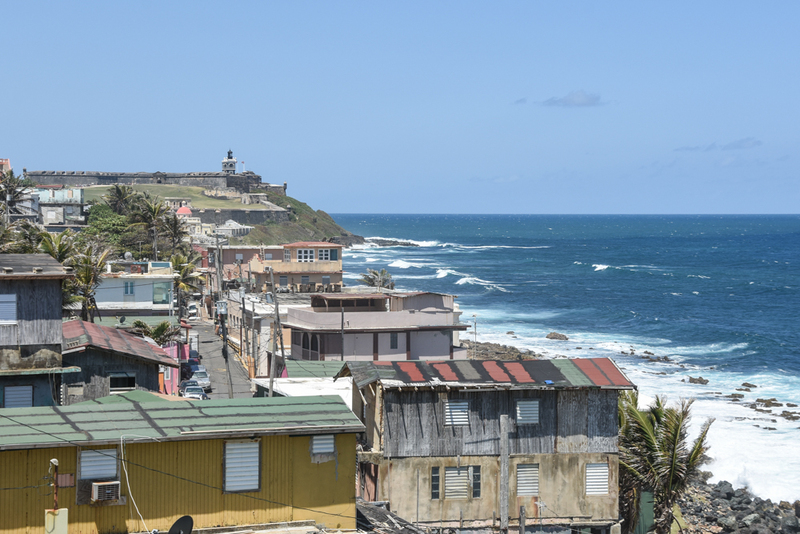 It’s great to hear that people are traveling there again after the hurricane devastation. Fabulous photos too! Thanks for the tour. Great pictures! 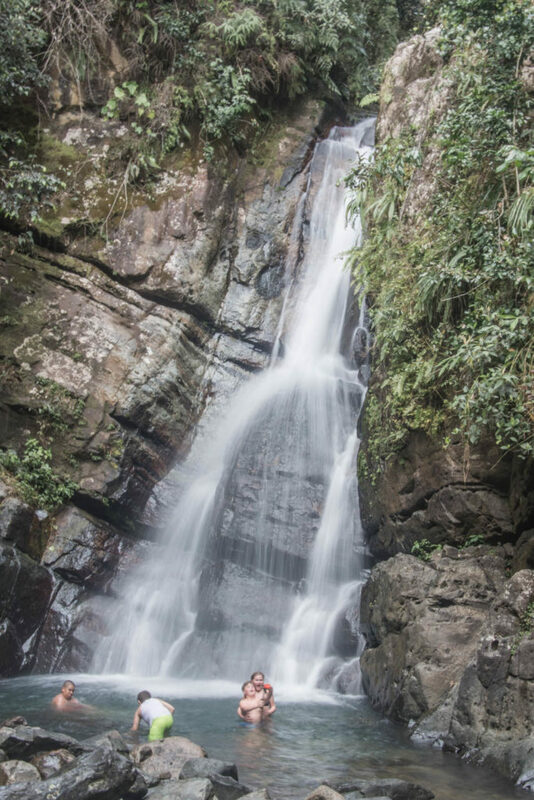 Would love some more info on San_Juan-15.jpg and the waterfall.